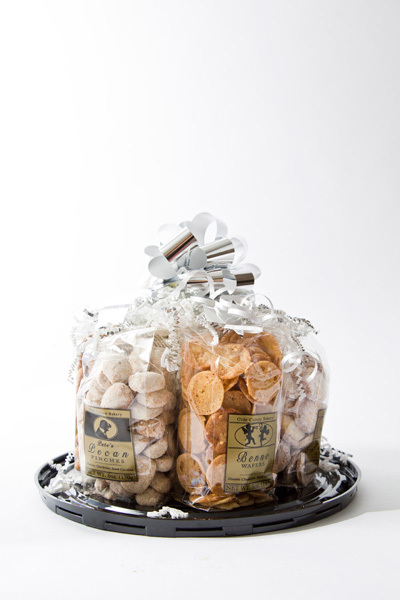 Make your party more special with our most popular Olde Colony Bakery cookies! Here's a view of the party pack before we wrap and ship. 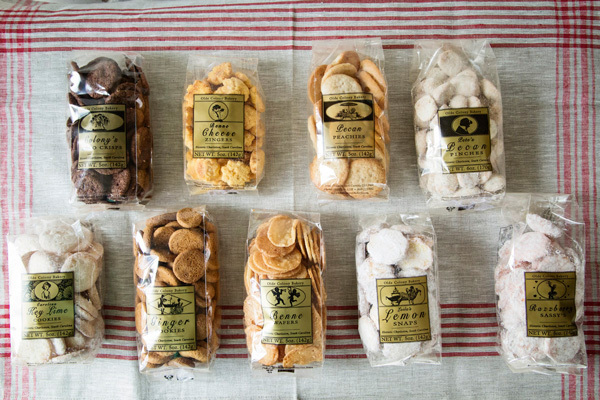 The Party Pack of cookies brings the fun to any occasion. 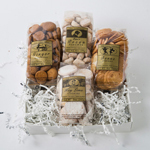 Enjoy our five most popular gourmet cookie bags, including a 5oz bag of Leila's Lemon Snaps, Benne Wafers, Ginger Cookies, Pecan Peachies, and Pete's Pecan Pinches seasonally decorated with festive paper.